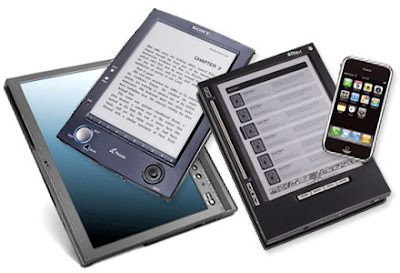 Amazon pioneered the market of 'ebook reader' devices. It's 'Kindle' paved the way for other companies to come up with their own version of ebook reader. That brought the competition and then Amazon's monopoly is shattered. Thereby, it's compelled to marginalize it's price to accommodate itself with growing competition, I'm astonished to find some companies are selling one of these devices arrogantly for over $850. That's outrageous. Ebook readers are hot-sale these days because of it's extreme portability, easy to use features, and capacity to store thousands of books and articles in it. Just having a feeling of carrying multiple books in one-small-few-hundred-gram device is the main driving force making people spend. These readers are replica of black N white newspaper of old time. You cannot see colorful images and stuff like that. Just grayscale and b/w. This is now becoming one one growing issue among readers(we human). Reading things in color means whole different set of technology and lets see how long does it take for these companies to embrace that. Needless to say, infact mobile devices and smart phones can be turned into mini-ebook readers too. Like I can read books on my HTC Touch diamond. How cool is that?